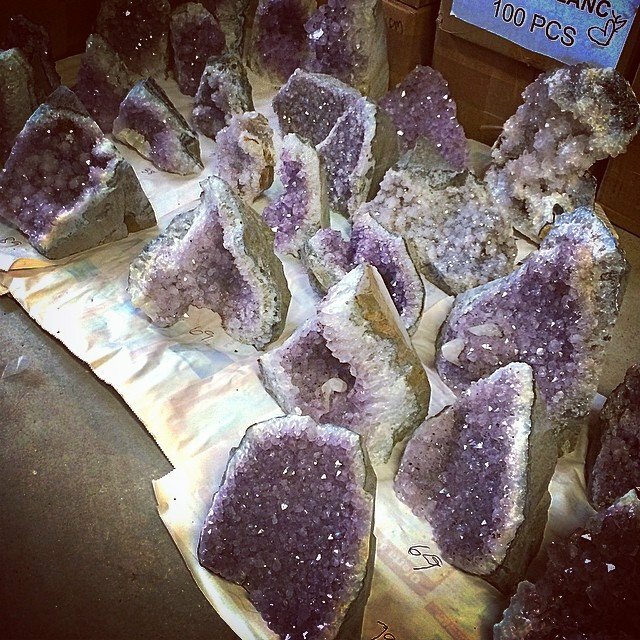 #Amethyst. Tomorrow. #soulscape After a 2 month break, I'm finally unpacking the rest of the boxes from the Tucson Gem show. Had to start with these beauties, after all I belong to them. #aquarius they are my downfall. Literally.